Latte dock is cool new dock for KDE with full support for plasma widgets. 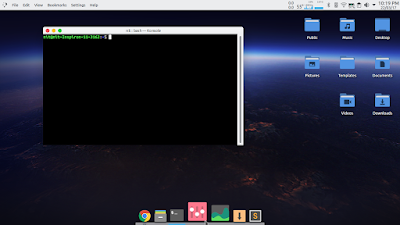 If you miss a plank like dock on Plasma desktop, look no more. Latte dock is still in development and new features are added almost everyday. While a stable build has not been released yet, it has been pretty stable for me so far. The dock is being developed by same team which developed now-dock for kde (now-dock is deprecated now). Dart has tipped us with a nice script that installs latte dock on KDE desktop. Unfortunately, it was not working because of some recent changes in latte-dock code. I fixed the issue with script and re-hosted it on Gist. To install latte-dock, you need Plasma 5.8.0 or more. On Kubuntu 16.04 and 16.10, running following commands will upgrade Plasma to 5.8.0. Kubuntu 17.04 and KDE Neon users need not run above commands as they already have latest Plasma desktop. Now just download latte-dock installation script and run the command below from the script folder to install or upgrade the dock. Off Topic: I have been away from blogging for quite a while because of some personal reasons and lack of time. I apologise to Ubuntu Vibes readers for being away for so long without any notification. Hopefully I will be able to make "Ubuntu Vibes Great Again".